The catch 22 of the job world. This problem is even more prominent in translation as almost every position I have ever come across for Japanese/English translation demands at least 3-5 years experience. Many young graduates of Japanese related fields run into this problem. I find that many might not have the necessary Japanese skills to go into translating right after graduation and so often turn to teaching positions in Japan. Myself, and others, are stubborn and resist this approach until it’s a last resort and we’re desperate for money/to get back to Japan/experience to open more opportunities. So for those who are at university, or just graduated, or even working but want to become translators in the long run, this one’s for you. I’ve found that many people already in the field of Japanese translating have a degree in Japanese, a masters in Japanese translating with JLPT N1 and several years proffesional experience. But where do you start to get these long lines of qualifications and are they enough? What helps is to have a clear career goal for yourself (this applies to any job really). Look at possible adverts for jobs you’d like to do (you dream job even) and write a list of requirements for that job. What do you need to do to achieve those requirements in the future? Be specific and think about what you need to do to achieve those goals. I came up with mine in my last year of university after looking at applications for Nintendo and Square Enix (3+ years experience wanted and knowledge of gaming and colloquial Japanese). So my goal was that before I graduated from university that I would have JLPT N1 Japanese, practice translating while studying and that would get me a translating job straight away which I’d do for 3 years before applying to Nintendo. I actually had N3 level Japanese when I graduated, and decided to shift my goals to fit this and study in Japan to get at least N2 level, and even then I realised I needed a speciality to focus on to get hired as a translator. (It was a miracle I got offered an in-house position where I had time to train myself but that was because I am a highly organised person). So well laid plans don’t always work, but having a goal to work towards is better than nothing and as long as you don’t give up you can shift your plans to fit the new situation to reach your goal. As I said, well laid plans don’t always work and you might end up achieving your goals later than planned. But you should never give up if it’s something you really want to do. Assess your Japanese Level: So the first step is assessing what level of Japanese you are currently at, and what you need to to reach your goal. When you have a realistic plan written out try to stick with it. A good goal to aim for is a new JLPT level every 6 months, even if you don’t think you’re ready take it, and even if you fail they’re a great push to boosting your Japanese skills and you can just try again in another 6 months. 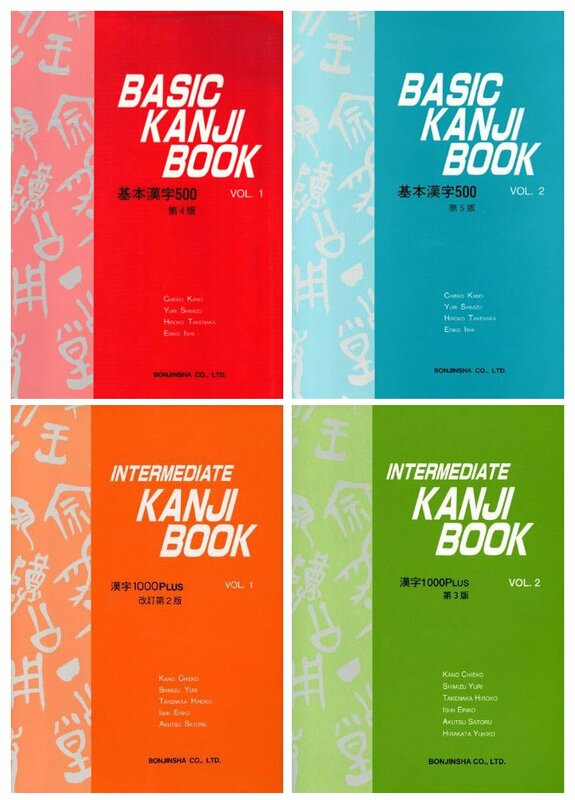 I have a post on studying for the different JLPT levels. Lessons: The JLPTs are not for everyone though, but even if you don’t take the exam, taking courses and using books for the different level are still really useful to getting a grasp on the language. If you’re not a fan of exams or studying for the JLPTs perhaps taking lessons is more your style? I’ve found that learning one-to-one with a teacher or in a small class has always greatly boosted my Japanese and I find it to be a worthy investment (although some people don’t). If you’re not taking lessons at a school you might be able to find local teachers to do one or two hours a week week. Or you could put some money and time aside to go to Japan and study at a language school there. You can do language exchange programs with Japanese people in your area, but I’ve found that unless they’re a professional teacher you won’t benefit that much in terms of improving your Japanese quickly. Self study: If you don’t like having lessons, can’t find or afford them, then it’s time to hit the books in your spare time. Once you know your level of Japanese it’s probably a good idea to go over what you’ve previously learnt and then working towards a personal goal. Self study involves a lot of discipline, and you should be doing it even if you’re studying Japanese in a class, but it’s great fun. Memrise Courses – A fantastic flashcard program where you can use decks made by others or write your own (great for learning new vocabulary you find while studying and translating). It is possible to get experience translating and learn from it before you start getting paid work. Many companies would probably prefer you have paid experience but as I mentioned, this is catch 22 conundrum because you need work to get experience, but can’t get a job without it. So your best bet to getting into your dream translating job (or at least start your career towards it) is to start practising yourself and do free jobs (see below). A great way to practice translating is to find something that interests you (a Japanese manga, or video game, or wikipedia article in Japanese), and write down all the kanji and vocabulary you don’t know. Don’t even try to translate it at first! Learn all the new vocabulary and their kanji (Memrise is fantastic for this! I can’t stress enough how useful it is). Once you’ve learnt them try translating it. This doesn’t even have to be a huge translation, you can do it by page or paragraph. When you’ve translated it read it through and ask yourself “does it make sense in English?” What I’ve found is that you cannot make a 100% direct translation, and although you might do this at first, it’s best to get out of the habit and to try to completely understand what’s going on and translate it into appropriate English. If you have a Japanese native or advanced speaking teacher or friend it helps to check with them what they think of your translation to see if you mis-understood anything. The great thing with doing this asap is that although it’ll be slow and frustrating at first, you’ll find yourself learning more quickly as you use Japanese and come across words you’ve previously learnt more frequently. As I mentioned you don’t need to be amazing at Japanese to begin translating. I started by working for a scanlation group translating manga, which was great experience for a beginner as you learn a lot of things besides the language. I learnt that I needed to practice the Japanese I learnt, try to make my English more natural, and manage my time better. The sooner you begin practising either with a scanlating group, for your own blog etc, the more time you’ll have to explore different areas and put on your resume the years of experience working in translating. One good way to show off your experience as well as a good motivator for practising, is to make a translating blog. If you aim to put something up every week and do this for over a year you will not only have a lot of experience, but a way of showing off to possible employers your experience (even if it’s unpaid). It will also allow you to explore different topics to specialise in. I had been meaning to create my own for several months now, but it’s only recently I’ve managed to get some articles up on my own translating blog. I really, really wish I had done this a lot sooner so that I would have had the experience before I graduated. But better late than never. You can find all kinds of groups online for unpaid, beginner translating opportunities. I don’t mean job opportunity sites, but things like scanlating groups for anime and manga that need translators, or people who would like their blog or website translated to Japanese (always good to have it proof read by a native before posting online). There are often people looking for free translators online, but be careful offering your services to charities and legitimate companies unless you are very confident in your translating skills and have a lot of practice under your belt (making mistakes with these kinds of sites can be bad). When you translate for someone always ask for feedback to use to improve your services next time, and if you did a really good job you could even ask for a recommendation on Linkedin as proof of your work. As I said above in Improving Your Japanese, it is vital that you practice the new words you come across when translating. Every article and email I translate for work or for my blog I put onto memrise and learn the meaning and then kanji for that word. I’ve found that my translating and understand had improved greatly after a month and I’m beginning to build my own specialised vocabulary for the topics I’m interested in. This is the one thing that most new people to the field have problems with, especially if they only have a degree in Japanese Studies and no experience in anything else. So how does one find a specialisation and develop the skills in that specialisation to gain the experience needed to get hired as a translator in that field? Well first of all it depends on where you’d like to specialise and what experience you already have (if any). It does help if you have an A level or degree in the background of your choice, but it’s not he end of the world if you don’t. As I mentioned you can gain experience by regularly translating articles related to your field of interest, this is also good for building up the field specific language needed for that field. This is an interesting article on Kotaku on How to Break into Video Game Translation, one thing in particular that stood out was that he thought the best translator or games he’s worked with loved video games and played a LOT of them. So if you love video games and want to work for Nintendo or Square Enix or another game company you should first look at their career options on their websites to see what criteria you need to get. Then just play their games in Japanese, making notes of new vocabulary, learning them, and playing more. Disadvantages: Low pay (very low), competitive (lots of game translators out there). Start by finding some scanlators that need translators (and there are lots), but it’s important to find a manga you enjoy translating and a good team who will motivate you, or be very good at self motivation. I made the mistake of translating a manga I quickly learned I did not enjoy and the lack of feedback from the scanlating group made working for them frustrating. Be careful what you translate for scanlators and make sure it’s something you can put on your resume (i.e doujinshi would not be advisable work). This is the same with anime where you can find a group to work for as a translator, but you have to be able to translate working from ear and the context of the situation. As for novels, just like games, read a lot of novels. Anime, manga and novels have a variety of specialised topics (fantasy, sci-fi, adventure) and so a lot of made-up and language you wouldn’t normally find in the Japanese language, which means you need to do a lot of studying into the most appropriate word to use. Computer science and engineering jobs seem to always be abundant, especially bilingual ones. A lot of them require you to be able to program as well as be able to translate, both of these skills can be worked on in your free time at university or outside work hours. If you don’t have a background in computer science, but a strong interest you can pick up a free distance learning course in computer science from sites like edX. You don’t have to be able to program either as I’ve heard of some translators that focus on translating for computer related companies and who translate technical document. Working in the automotive industry is not one that many people think of as a glamorous career in translating, but there are plenty of opportunities considering the number of Japanese car companies that also work outside of Japan. There are jobs with these companies where you don’t need an engineering degree (although many advertise one as a requirement), so if you have an interest in cars and don’t have an engineering degree it’s worth focusing on articles that talk about vehicle trade, as international trade is a big part of the business. These types of translating profession will most likely require more than just an online course off the internet. A university degree is the best option but if you can’t afford that then getting a basic class in medial or legal items and then becoming a proof reader/editor is a good way to get onto the career ladder. You can then use the new terms you learn in English to learn them in Japanese, and begin reading and translating medical articles online as practice. Advantages: Very, very, very good pay. Can begin career as proof reader/editor before translating. Disadvantages: Will probably need degree or some solid background in subject, will be expensive to fund training for this. And there are many, many more roles a bilingual person can do beyond translating, like project management, international customer lesion, tour guide, teaching business English. 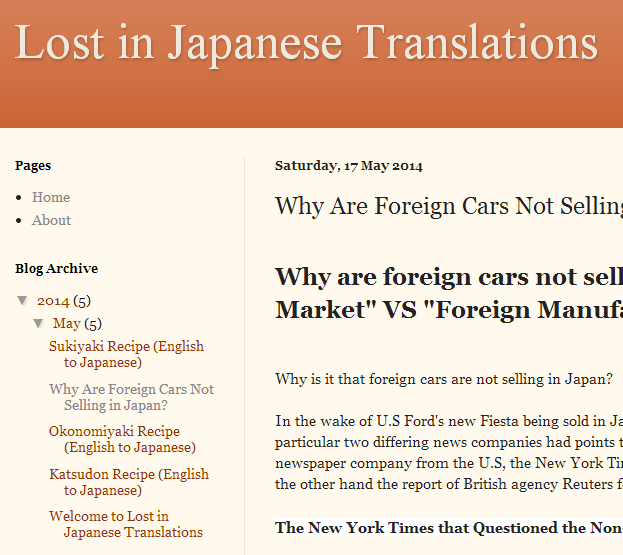 The road to becoming a Japanese translator is not an easy one, but it can be a fun one. Do your research extensively and as soon as possible. Find out what you want to achieve and what you need to do to achieve it. You might think 3 years of University is plenty of time but you’d be surprised how quick it goes and how little time you’ll have at the end to prepare for a translating career. If you’re already working, however, no fear! You can still set your goals and achieve them. My next post is all about Getting Translating Experience at Various Points in your Career from university to already working people. Tagged Beginner translator, Japanese translation.